The Sales Director at Yorkshire’s largest housebuilder, Barratt Developments, which has the Renaissance and Evolution developments in Rotherham, says more needs to be done to educate first time buyers on the options and buying schemes available to help them get a foot on the property ladder. It comes after a new report and survey published by the Home Builders Federation highlighted that financial worries dominate the thinking of today’s generation of prospective homebuyers in Yorkshire. It also highlighted the change in attitudes to home buying between young and old. The survey showed that whilst 28% of people in Yorkshire still want to own their own home, there are huge financial obstacles to realising their dreams - 73% cited the difficulty of saving for a deposit; 61% property prices; and 56% the difficulty of getting a mortgage. To make matters worse, 23% of adults in the region are totally unaware of any government support available to them, such as the 5% deposit ‘Help to Buy equity loan’ scheme or the Help to Buy ISA aimed at helping people save for a deposit. The findings are unveiled in Why buy new? Home Buyers intentions and opinions’ a report by the Home Builders Federation (HBF) following a YouGov survey of over 2000 people. The research was published to launch New Homes Week 2016, an industry-backed initiative aimed at addressing some of the misconceptions about new build homes. With 41% of people in Yorkshire polled saying they have never visited a new build or a show home and a further 22% saying they hadn’t for at least 10 years, the industry faces a huge challenge engaging with the public to explain the many benefits of today’s modern, high quality new build homes. Sam Wood, Sales Director at Barratt Developments Yorkshire West, which develops new build homes across the region under the Barratt Homes and David Wilson Homes brands, commented: “It’s positive to hear that nearly a quarter of adults in the region still aspire to own their home, but many are still concerned that saving for a deposit and being able to afford a property on the market will stand in their way. That’s why it is vital that we make more buyers in Yorkshire aware of the Government schemes available to help them make that first step on to, or up the property ladder. 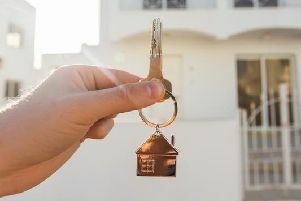 HBF executive chairman Stewart Baseley said: “In the midst of a housing crisis, the prospect of getting on to the property ladder can seem like a distant possibility to many people. But there are options available to today’s young people. Due to Government schemes buying a new build home is a real possibility for people.